You’re in a bank when it gets robbed. Are you supposed to drop to the floor? Challenge the robber? Try to escape? Raise the alarm? Or try and capture a picture of the robber? Every situation is different and your reaction at that precise moment in time cannot be known in advance. The one piece of advice all security professionals give for an individual is not to do anything that might put themselves or others at greater harm. At the foremost it is important to understand how bank robberies are generally carried out in Pakistan. This will ensure you to understand how to react or not in those particular instances. 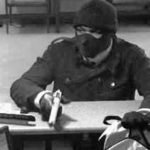 — Several armed individuals either storm the bank or enter quietly and then when in position to take control of the situation aggressively announce their intent to rob the bank. — They usually have support either outside or close by. — They disable the security guards that are present by grabbing their weapons and may even tie them up. — Rarely do they discharge their weapons while entering the bank as it would alert others and possibly trigger a response. — Their aim is to grab the maximum amount of cash from the bank tellers and safe and will seek out the bank official present there who could provide them access to the safe. — Customers are mostly deprived of their belongings as well. — The assailants at times appear with uncovered faces making it easy to identify them therefore they may grab the bank’s close circuit TV recordings. — While leaving, they at times shoot in the air to clear a path for themselves and to sow fear in those present to discourage a reaction from the victims. — Don’t try to be a hero or draw attention to yourself. — Stop and adhere to their reasonable instructions. — Do not make sudden moves either when handing over belongings they want from you or while following any of their instructions. — If you were walking out while they were entering then continue to do so without being aggressive or in a hurry. Sudden movements may result in an adverse reaction by the assailants. to recognise them and could harm you. — Avoid rushing to help someone who may be injured; if you must, then seek permission from the assailant and only move if they agree. — Avoid talking to others when you can be observed as it could be perceived as you plotting to disable the bandit. — Do not make attempts to raise an alarm in any manner while you are visible to them even if they aren’t observing at that point. — Calm your nerves, remind yourself to stay in control. — When the robber says don’t look at him, look elsewhere; it will distract you from the aggressive demeanour and help calm you. — In case of gunfire drop to the floor and seek cover behind something sturdy, a counter, a column, desk. Do not stand up and run in the path of the gunmen. — Do not tackle the armed assailant unless you’re absolutely sure not doing so will result in you being deprived of your life. — Do not chase after the bandits once they’ve fled not even to try and see where they’re headed. — Remain in your place until a bank official or law enforcement says it’s safe to move. — Cash and your belongings in your possession are not the bank’s responsibility and will not be reimbursed by them. — Reimbursement of cash handed over to the teller is also subject to terms and conditions of the bank. Ensure that you report this loss, especially if you don’t have a stamped deposit slip for the cash. — Cash withdrawn at gunpoint from you from the ATM inside the bank during the hold-up may or may not be reimbursable per the bank’s terms and conditions. However, do report to them such a loss immediately. — Inform the police that respond to the incident about the loss of your ID documents and valuables as they may either incorporate it as part of the report they file or then guide you to the police station to make an individual complaint. — Select a branch that is situated in an area that is more secure and less prone to incidents of any crime. — Choose a branch that has visible and alert security at all times. — A branch that doesn’t have long waiting time. Online banking facilities permits you to bank at any branch choose wisely. — Observe your surroundings while walking in and out, look for anything and anyone suspicious and if in a doubt walk away. — Avoid using your mobile, while it may be inconvenient banks discourage its use because it is often used to provide intelligence to criminals. This information doesn’t necessarily result in a bank hold up but it has been known to provide tips to those waiting outside to target a customer leaving with large sums of cash. — If you are with someone, especially children, don’t get separated and ensure you leave together.